It’s important to take care of your vehicle, which is why the Commonwealth Motors service department offers rotating auto service coupons. Our service specials encompass everything from great prices on routine maintenance to brake service coupons, so be sure to check back and make sure you aren’t missing out! Your Nissan, Honda, or KIA will thank you. Taking your car in for service can be nerve wracking and is often expensive, but you can rely on us to make service simple and more affordable thanks to our available auto repair coupons and other deals. For top-quality service and reasonable prices, make your way to Commonwealth Motors in Lawrence! 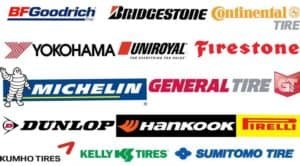 We'll Meet or Beat any Manufacturer Priced Tire Quote!